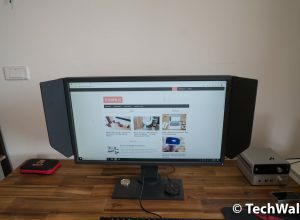 I haven’t heard much about the Inateck until I had a chance to review some of their speakers like the Inateck BP1001 and Inateck BP2001 a few weeks ago. I was quite impressed with design of those speakers, however, there are still many limitations in the sound reproduction. 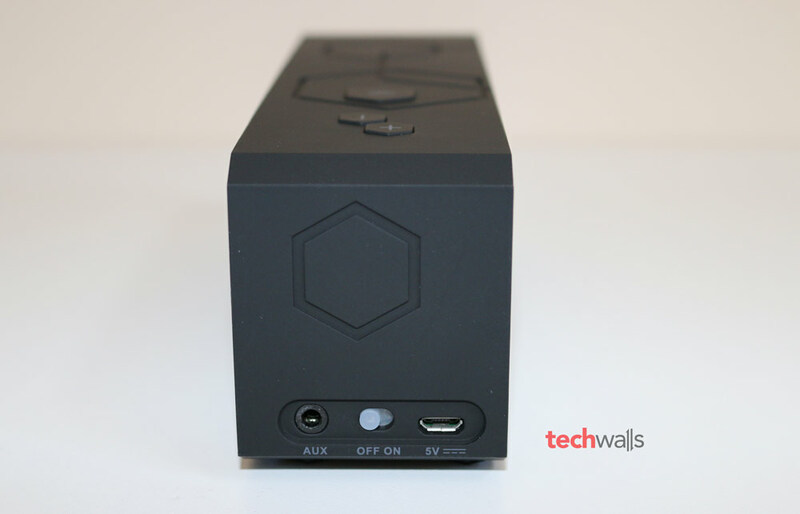 Inateck BTSP-10 Bluetooth Mini Speaker is the most expensive speaker being sold by the German company. 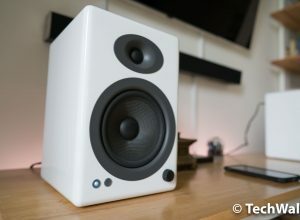 Let’s check out my review to see if the speaker deserves the higher price and how it compares to other mini speakers on the market. Inateck had done a great job manufacturing this mini speaker. Before opening the box, I didn’t expect the speaker could have such an impressive build quality. The BTSP-10 is small (165mm x 60mm x 45mm), lightweight (375 g) and very sturdy. It can easily be handled with one hand or toss it anywhere in your backpack without adding additional bulk. A carrying bag is also included if you want to protect the speaker from impacts inside your bag. 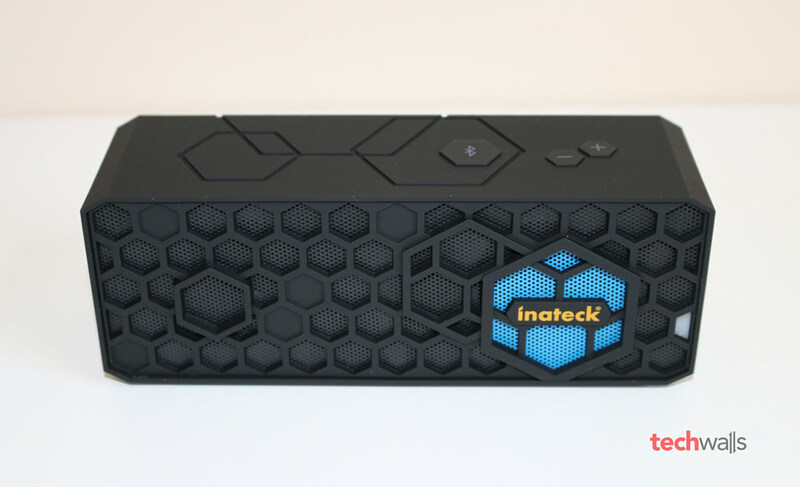 The whole exterior of the Inateck speaker is made of plastic with matte soft-touch finish, even the front grille is also plastic. However, it doesn’t look cheap at all. Conversely, the material makes the speaker very lightweight and it doesn’t catch fingerprint easily like glossy surfaces. With the rubberized material, the speaker is absolutely more durable. Unfortunately, it is not dust or water-resistant, so you’d better avoid rains, pools or beaches. 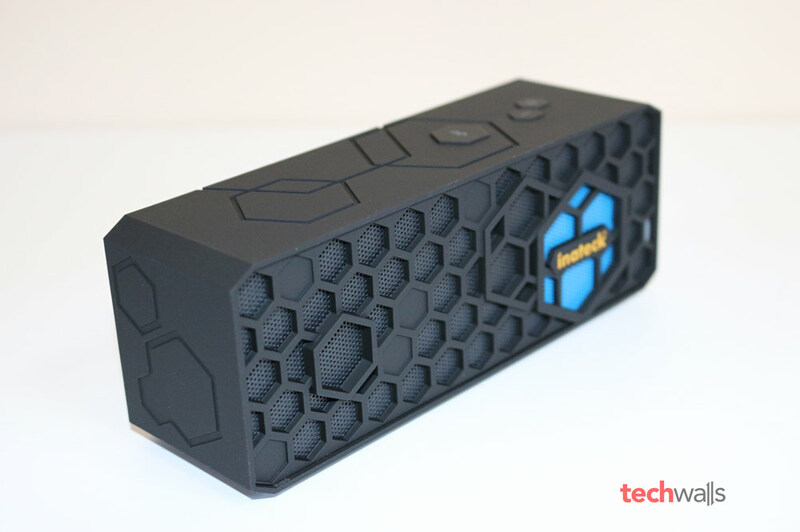 I’m quite impressed with the honeycomb design with hexagonal buttons (Bluetooth and volume controls) on top. 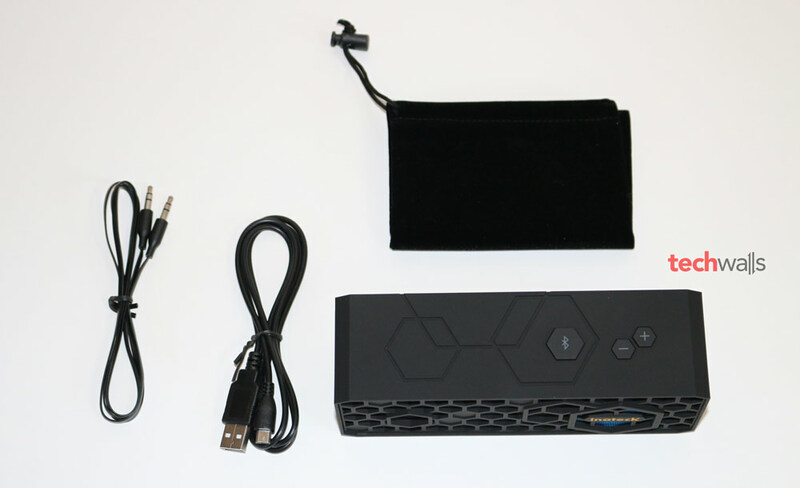 The AUX port, power button and mini-USB charging port are placed on the right side. And unlike other manufacturers using a sealed cabinet, the Inateck has an open bottom-facing port to deliver some extra bass responses. There is also a built-in microphone which perform quite well in receiving hands-free phone calls. The battery life of this speaker is not bad at all. I easily can use it for over 8 hours with a single full charge. However, the problem is that charging the speaker took forever to finish (it took me at least 4 hours to fully charge the speaker). Another problem is that I could only charge with my computer’s USB port because Inateck warned that USB chargers with more than 1A could severely damage battery and cause malfunctions. 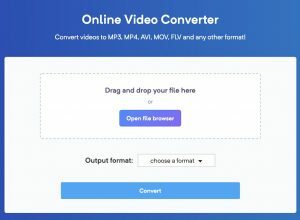 You can check the video on top of this article to get an idea of the sound quality. Of course, it can’t reproduce the real sound accurately even though I recorded with a good microphone. In general, the sound quality of this speaker is up to par with some other speakers at this price range like the JBL Flip or Logitech X300. I even prefer the Inateck BTSP-10 because it has less distortion and more importantly, it is extremely LOUD. I set the volume level on the speaker to maximum and by then, the volume level on my connected device always stays lower than 40%. This is amazing because I often have to set the volume level of my device to over 70% with most other speakers. So we all can see how powerful the two 1.5″ 5W speakers are. Thanks to the extra bass port, the bass sound of this speaker is quite good. However, it is only good as compared to other mini speakers. You should never expect a punchy and deep bass coming from a package this small. The high notes are also not meeting the requirements of audiophiles, you will hear some distortions and not the crisp and bright sound you are looking for. 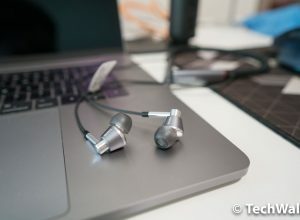 The Inateck really shines at mids as the sounds are very clear, present and balanced. Therefore, the speaker is perfect if you are watching news, movies or Youtube videos or music that don’t have complicated instruments. Durable, compact, lightweight and screwless design. The volume level can be very loud which is suitable for outdoor uses. The sound is very clear, especially at midrange. The Inateck BTSP-10 Bluetooth speaker is on sale for $79 on Amazon. This is quite a good choice at this price range, and if Inateck could solve the charging issue, I can easily recommend this speaker.